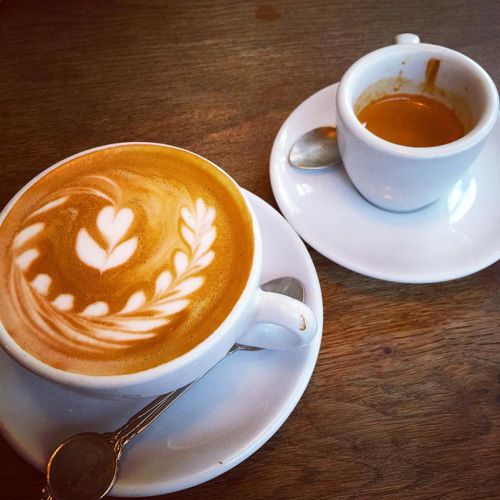 More of our original coffee photos. Coffee photos of the week... page two. I took this photo during a trip to Jamaica. 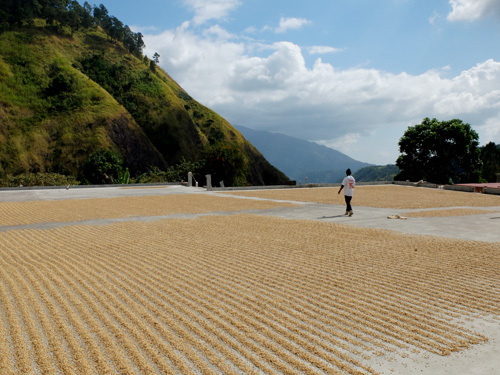 It shows coffee beans at the "wet parchment" stage, drying in the sun. 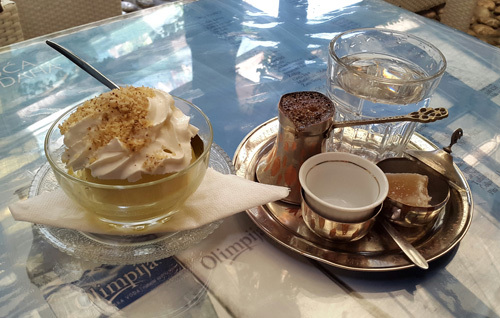 Bosnian coffee in Sarajevo with an apple dessert called Tufahija. 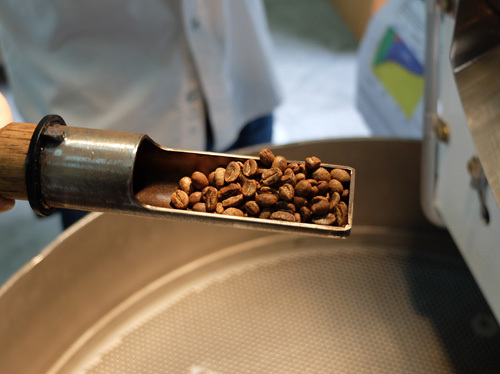 I spent some time with a coffee roaster, and here you can see the sampling scoop he uses to see if the beans are roasted to his liking. A friend took this photo for me in a cafe in NY. 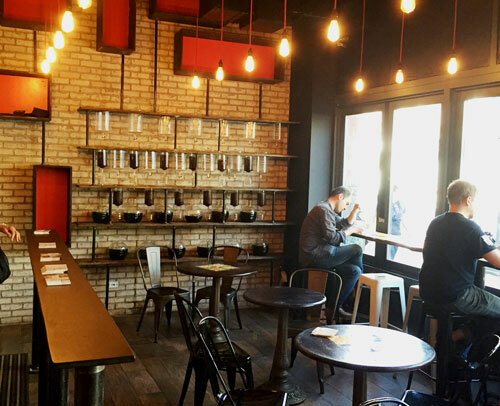 It shows an entire wall of cold brew coffee makers. My wife took this photo while staying with friends in France. 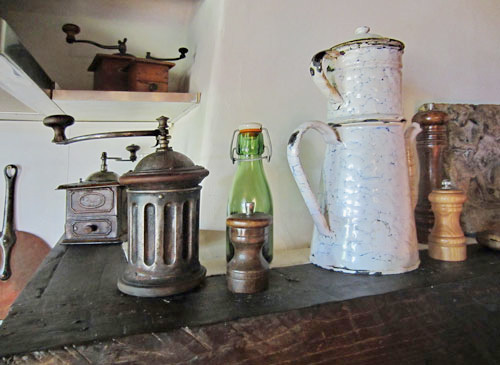 I envy them their collection of antique coffee grinders! 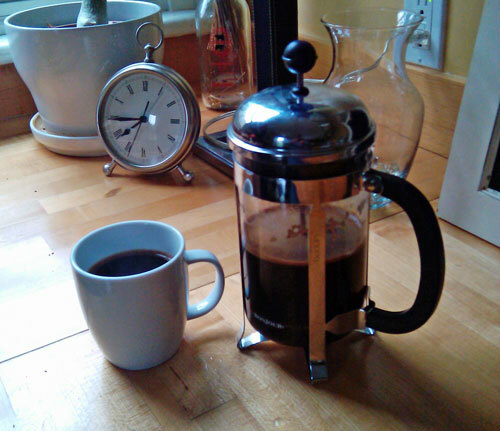 It's 7:45 and time for some French Press coffee. I took the picture at my brother's home in Hudson, NY. A really nice example of Latte art. Nothing too fancy, but beautifully done. Another photos from my trip to Jamaica. 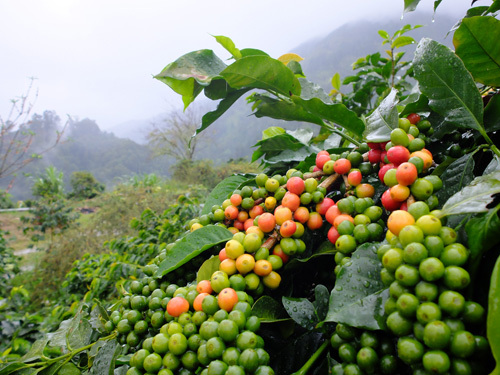 These are the coffee cherries on the tree, high up in the mountains, often enveloped in mist. I'm not sure what draws my eyes the most...the coffee or the cooked breakfast. 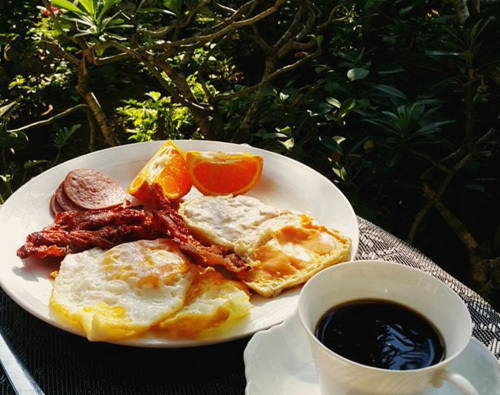 For me, coffee, eggs and bacon are the perfect combination. 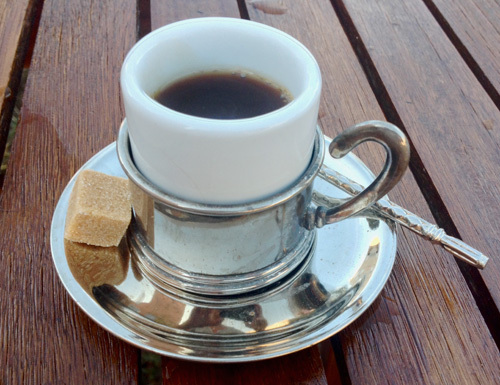 I just really like the cup and saucer in this photo, and the spoon too. Very simple and classy.